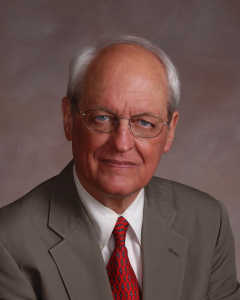 Former Iowa Lieutenant Governor Arthur Neu has died. Neu was Iowa’s lieutenant governor from January of 1973 ’til January of 1979. Neu, who was born in Carroll, Iowa, on February 9, 1933, got his undergrad and law degrees from Northwestern University. He practiced law in Carroll and served for six years in the Iowa Senate in the late ’60s and early ’70s. In the 1980s, after his stint as lieutenant governor, Neu was elected mayor of Carroll. Neu served on a number of boards and commissions, including the Board of Regents. It’s a an “amazing” record of public service, according to Roberts. David Oman was serving on Governor Bob Ray’s staff in the 1970s when Neu was Iowa’s lieutenant governor. Oman notes Neu served on several state boards, including the Iowa Board of Corrections as well as the Board of Regents. Neu died this morning at a hospital in Des Moines. He was 81.